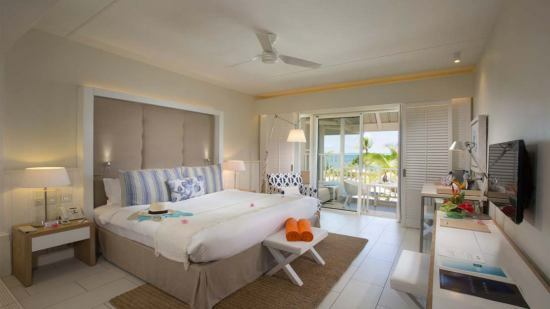 A stunning setting of lagoons and white sand beaches fringe this beautiful family resort. 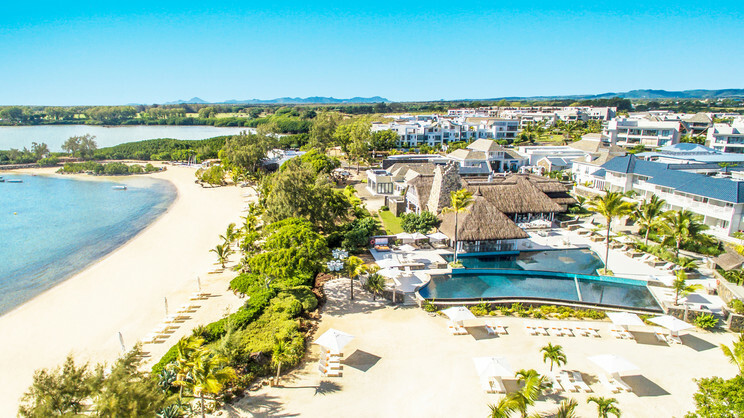 Radisson Blu Azuri Resort & Spa raises the standards of 5-star Mauritius holidaying by offering an exotic blend of paradise, relaxation and tranquillity. Situated on the northeast coast, right beside the beach, its rooms open onto magical views. Unwind with pampering spa services, dine on local specialties, or head off on an aquatic adventure; Mauritius offers world-class diving and island excursions. Radisson Blu Azuri Resort and Spa is located on the beachfront. This large resort has all you need for an unforgettable holiday onsite, including restaurants, bars and live entertainment. Port Louis is a 30-minute drive away. Sir Seewoosagur Ramgoolam International Airport is located approximately 66km away from Radisson Blu Azuri Resort and Spa. 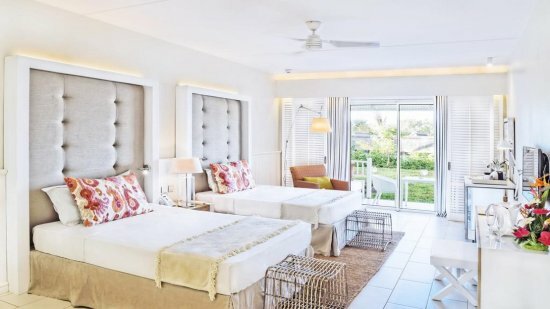 Footsteps from the soft white sand, this beautiful accommodation offers plenty of space and is ideal for families via the two double beds with a capacity for an extra bed should it be required. The floor-to-ceiling doors ensure great views of the gardens both from the terrace and within the room. Similar in design to the garden rooms, guests can relax in 45 square metres filled with luxuries. 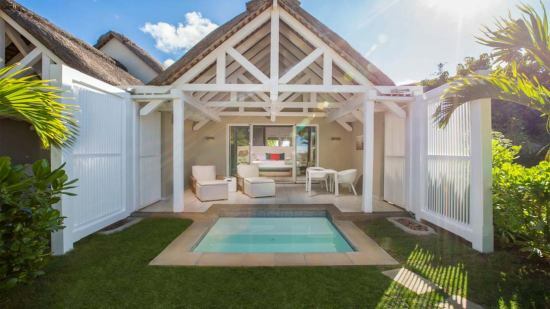 Beautiful designs showcase thatched-roof, beachfront rooms that feature a privileged location, view and services. Indulge in the private pool as you soak up the sights by day or night! All-day dining is the theme of Radisson Blu Azuri, where fresh seafood, international buffet classics and local Mauritian specialties combine with quick-eat venues for snacks and food on the go. Alternatively head to one of the sultry bars, perfect for wiling the evening away with cocktails and rums. Live cooking stations add to the ambience with all-day dining being the theme of this restaurant. Delectable seafood and other sophisticated dishes can be enjoyed in this elegant setting. There's a touch of Mediterranean in the air at this popular venue right beside the beach. If you choose to go all inclusive at Radisson Blu Azuri Resort and Spa, the programme generally consists of breakfast, lunch and dinner, all buffet style, served in the restaurants. During meals, soft drinks, beer, water and wine are offered. Locally produced alcoholic and non-alcoholic drinks like water, wine, refreshments, soft drinks, beer, spirits, etc are served from 11:00-22:00.